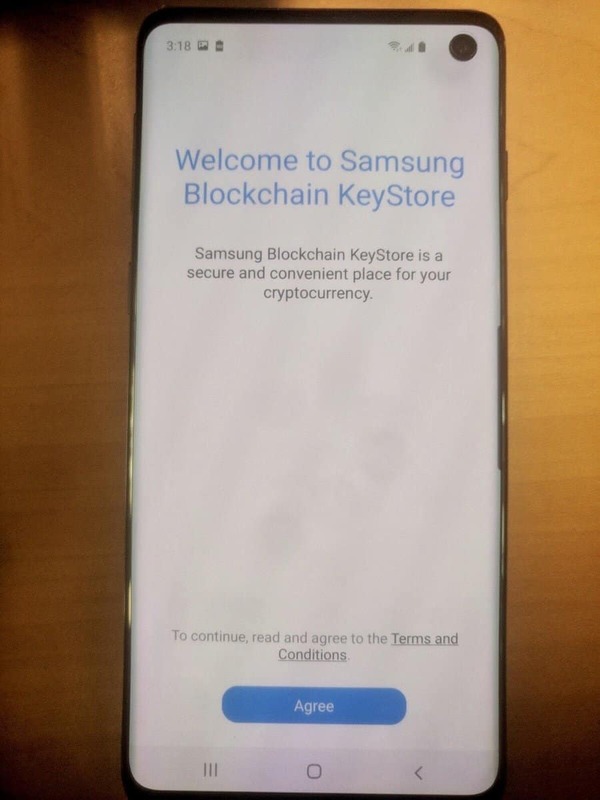 The leaked Samsung Galaxy S10 was first reported by Samsung news outlet Sammobile that appear to show the rumored Samsung blockchain key store cryptocurrency wallet app running on the new Samsung Galaxy S10. The current claims are that it is going to be supporting bitcoin, bitcoin cash, and ethereum. Samsung is actually the most important player in the smartphone market, currently controlling a little more than 20% of the global phone market. 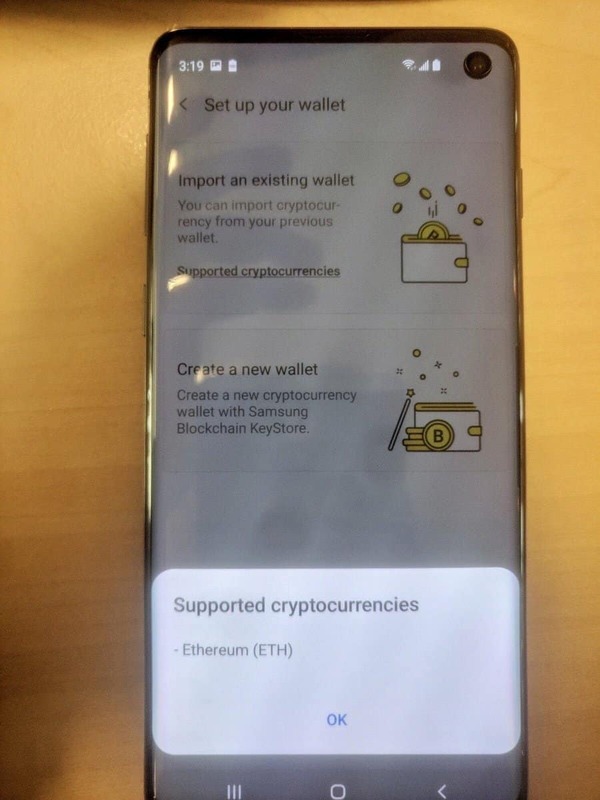 Including a native wallet in the latest Samsung Galaxy S10 is really cool but we cannot expect this to make an overnight bull run happen. Just this phone coming to the market insn’t going to make bitcoin explode. For a lot of people who aren’t into bitcoin and who don’t know anything about cryptocurrencies may not actually get into that application until maybe a couple of years down the line but again we need these steps in order to get to a big scale global adoption. What Samsung’s offering could be super powerful because it is the biggest market for a smartphone. Just having those wallets is going to be amazing. If that Ethereum wallet can interface easily with Ethereum based Dapps, it would be quite awesome. An expensive phone which is probably only made for the die-hard cryptocurrency enthusiasts. The cost of the device is around $1000. The phone is based on Android and the software provides a few benefits like integrated cold storage wallet, secured exchanged access, encrypted communications, peer to peer resource sharing and transactions on the Sirin Labs network. The Dapp store is focused on interchain operability allowing compatibility with applications from Ethereum, EOS, NEO and other platforms. But right now, we don’t see it grow big. Right now the Cirin Labs Finney is really based on people who are big-time enthusiasts of blockchain. Pundi XPhone is another no-name brand in a super competitive market. At a very high price, the company is really going to struggle to sell the Pundi XPhone to people unless the people who are die-hard crypto enthusiasts. The Pundi XPhone is more than just a wallet. Every phone is a node on the network optionally bypassing centralized telecom operators. There are data packets and connectivity which are organized in a distributed peer to peer manner. Things like peer to peer file sharing will happen over the function X blockchain. The phone has a good focus on Dapp compatibility with Ethereum, EOS, NEO and others. It’s quite a good phone but at the current time and situation, it is made only for the die-hard cryptocurrency and blockchain enthusiasts. But when we see Samsung do something similar such as the upcoming Samsung Galaxy S10 and there is nothing stopping them from doing that it will make it very hard for phones like PundiX to compete. HTC is a name that a lot of people recognize but currently, they have almost no portion of the global phone market. So they are an irrelevant player when it comes down to it. 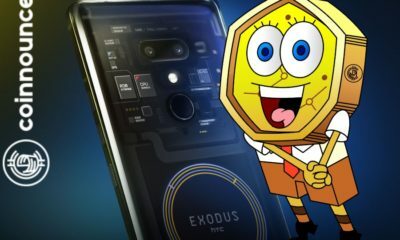 Basically, the HTC Exodus 1 is providing a secure mobile environment for blockchain transactions and wallets by introducing a safe encrypted digital space separate from the main operating system. With the integration of HTC’s Zion Wallet, the phone will serve as a hardware wallet. A great marketing effort by HTC, a lot of people did talk about this but this isn’t anything different from what Samsung is offering in the Samsung Galaxy S10 right now. So most probably HTC is not going take the market by storm because they are not a popular smartphone anyway while Samsung is already a popular smartphone. If people are looking for something really cutting-edge in terms of technology and something new, they are going to go with the Finney or the XPhone from PundiX because even though they are niche products but there are people who are going to appreciate that niche product. They are going to struggle to compete with the big boys like Samsung’s Galaxy S10 and maybe Apple in future but it is not to say that they are not going to sell their phones. Huawei added a bitcoin wallet to its app store which has got a lot of people excited. Huawei controls 15% of the global smartphone market but it is just a bitcoin wallet in the app store and Samsung is still bigger. 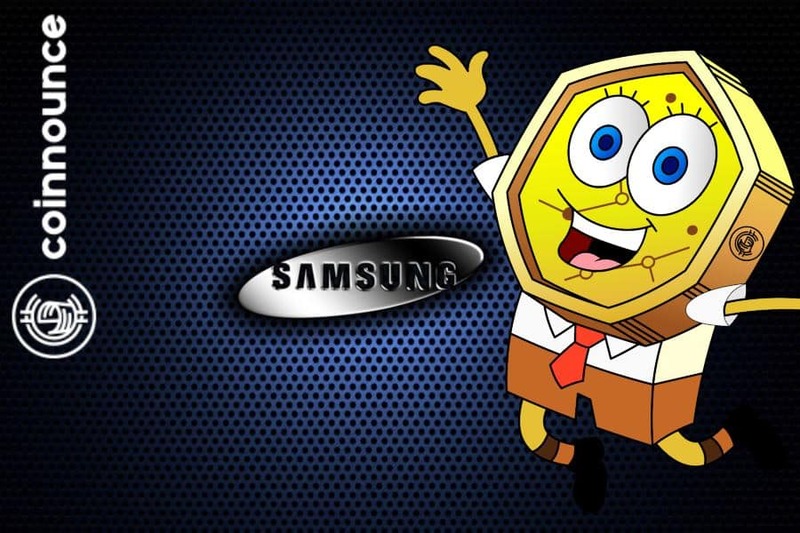 If Samsung goes big on blockchain enabled phones such as Samsung Galaxy S10 and they can provide easy use of Dapps then it’s going to put some serious pressure on any of the above-mentioned competitors. Samsung made a filing just after Christmas with the UK intellectual property office. 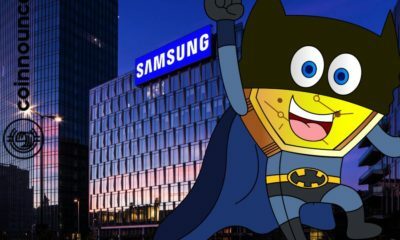 The name of the trademark was the Samsung Crypto Wallet. So the rumors and the leaked images are almost what is certainly happening with the Samsung Galaxy S10. Samsung is going to do the unpacking announcement of the Samsung Galaxy S10 on 20th February and the handset will go on sale on 8th March. It is going to be pretty cool to have a native inbuilt wallet on a popular brand of phone and adoption could be really big here if people use it. Samsung Galaxy S10 with Cryptocurrency Cold Storage.